Congratulations, Gilda Zaragoza for being named finalist for NAHB Young Professional Award! On Behalf of the National Association of Home Builders, we would like to recognize Gilda Zaragoza as a finalist for Region E of the 2018 NAHB Young Professional Award! It is truly an honor to be acknowledged as one of the home building industry’s leaders! On behalf of NAHB’s Young Professional Committee, we are immensely proud to recognize leaders like Gilda as members of our federation. We highly value their time, careers and dedication to the home building industry. This award was designed to acknowledge that hard work, success, performance, dedication, and outstanding potential all nominees portray as they continue to serve as young leaders in the industry. We would be honored for you to join us during the NAHB Young Professional Committee meeting during the 2019 International Builders Show in Las Vegas, Nevada. We will be recognizing all finalists and awarding winners for each region during the meeting on Monday, February 18, 2019 from 6:00 – 7:00pm. Please RSVP at: buildersshow.com/ticketonly. The following text was included in Gilda’s nomination, and you can clearly see why this recognition was so well deserved! 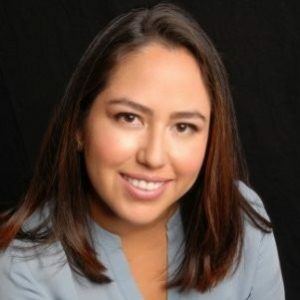 Gilda Zaragoza became interested in the Real Estate industry in 2007 while working in finance in New York City. After graduating from NYU, Gilda pursued a career in finance. She was able to secure a prestigious summer internship at Goldman Sachs. After graduating, she started her first full time job at BlackRock, Inc as an Analyst in the Account Management Group Servicing International Institutional Clients. Gilda’s time at BlackRock strengthened her knowledge of financials and different investment types. While at BlackRock, Gilda was exposed to their Real Estate arm and became more and more interested in this specific industry. She loved the idea of working with tangible assets that you could be truly passionate about. She moved back home to Colorado and worked in hotel management but always with Real Estate as her end goal. For two years, she managed two hotels to position them for a strong sale. While managing the sale of the second hotel, Gilda enrolled in the Real Estate & Construction Management program at the University of Denver. Gilda earned her Master’s degree in from DU in 2012. While finishing her degree, she found her first project, the scrape of an existing home to re-purpose as a duplex home in Englewood, Colorado. After a detailed financial and market analysis, she realized it was a project with almost guaranteed success and embarked on it… since then, she hasn’t looked back! She continued with developing single family attached homes in Englewood, always with her signature clean, modern design and quality finishings at the forefront to much success. In 2015, she decided to become a licensed Real Estate agent to give her the ability to be more aggressive with land acquisition and to represent the sale of her home projects herself. This opened up a completely different facet of Real Estate for her. In 2018, she launched a boutique realty to accompany her development business and rebranded to Invalesco Real Estate. She is in the process of expanding her team and is bringing on Real Estate Advisors that are active investors, flippers, or smaller developers like herself. Presently, she is also working on her first detached single-family luxury homes, University Homes. University Homes is a unique 4 home community for which she had to establish an HOA. The homes are luxury, modern gabled homes that truly embrace interior/exterior living. After the sale of these homes, Gilda would like to pursue a 10 – 20 row home Project or 30-40 apartment unit building build-out. Gilda was a founding board member of the Young Leaders Council at the Denver Metro Homebuilders Association. The YLC was launched in 2017 and Gilda served as the Communications Chair for the YLC that year. In 2019, Gilda will become part of the Executive Board for the YLC, serving as Treasurer. Gilda has been active in helping organize and establish a solid direction for the council, as it grows and becomes more established. Gilda is also an active member of the Denver Metro Homebuilders Association, regularly attending events and helping connect other members. 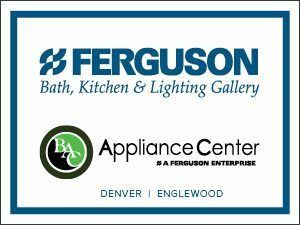 Her company has sponsored a couple of educational events that will help serve the builder community learn about energy efficiency. This fall, Gilda is a judge for the Custom and Remodeling Excellence Awards, Colorado’s largest and longest running award competition honoring the best architects, custom builders, interior designers, landscape designers, remodelers and industry partners. Gilda launched the Realty side of her business to cater to both real estate agents and investors, builders and developers. The inspiration behind the boutique brokerage is bringing together a group of like-minded agents, all active investors, remodelers or smaller developers themselves… looking for a place not only to hang their license, but a place where they can find resources catered to their specific needs and where they can collaborate and share ideas. There is no other such brokerage currently in the Colorado market. In turn, this knowledgeable team, all with construction expertise is uniquely positioned to serve the builder community… builders or developers who need assistance with land acquisition or have spec homes to sell. Our company is innovative in that we have the expertise to serve the builder community. We are equipping our team with education, such as the NAHB’s Certified New Home Sales Professional certification, and the right knowledge to serve this community with the expertise they deserve. Gilda launched a company whose backbone is collaboration. One of our mantras is “We believe that sharing is power and that we are stronger together”. She is leading the way by mentoring others and not hesitating in sharing her knowledge. She is helping lift others up and through each individual she helps, she gains more knowledge and experience herself. She is building a company where this culture is at the core and is forming the core team with similar traits. Gilda is married to a Pakistani man and they take their kids to visit his family every 2 years. These trips have further opened her eyes as to how blessed they are to have what they have, both materially and even just the everyday freedoms that they enjoy in this country. She is very passionate about education. Gilda believes that a good education combined with hard work can provide anyone the ticket to achieve whatever they can envision for themselves. Gilda is passionate about helping impoverished young kids, especially girls, get the opportunities they deserve. Currently, she is sponsoring 3 kids school expenses in her husband’s village. It is her wish to continue sponsoring these kids through their higher education to really allow them to soar. Their longer-term goal is to open a school in the village for this population, as the poorest families in Pakistan are not able to afford sending their kids even to public schools. Gilda hopes that through the success of her business, she will be able to accomplish that. Gilda earned her Bachelor of Arts in Individualized Study from New York University with a focus on Economics & Romance Languages. She then went on to work in Finance at BlackRock for a couple of years. Through BlackRock’s Real Estate arm, she was able to catch a glimpse of the Real Estate industry and quickly fell in love. She returned to Colorado and worked in Hotel Management, mostly assisting in divesting of 2 hotels over a couple of years’ time. Concurrently, she enrolled in the University of Denver’s Burns School of Real Estate to earn her Master of Sciences in Real Estate and Construction Management. Upon graduating, she was finally able to pursue Real Estate full time. She gained her Certified New Home Sales Professional designation through the local HBA Chapter to further assist her in selling her home projects. Gilda grew up in Mexico in the border town of Juarez, Chihuahua. She commuted to Texas for school on a daily basis. She also had the privilege of travelling often as a child while growing up. Perhaps, this is what now allows her to be comfortable in almost any setting. She is a proud mom of two, a devoted wife, a business woman, a leader and an adventurer. She enjoys skiing, scuba diving and travelling as far and as often as possible. She has a love for learning new languages and is fluent in Spanish, English and conversational in French and Italian. She has dabbled in Russian, Arabic and Urdu. She also loves learning about new cultures. Gilda absolutely loves what she does and enjoys her varied days: from working with architects, being on the field with her GC, networking at the HBA, helping others trying to start off their first project to forming the brand for her brokerage. Gilda will continue to grow and, hopefully, make a difference in the industry here in Colorado by being more inclusive and thoughtful.